I'm not an oyster lover but I indeed miss eating these lovely sea creatures. Yes, you can find it here in UAE but very costly for AED4.50 (Php50) per piece. So much to my desire to eat oysters when we were in the Philippines, my dad and I did a wet market shopping during our first week of vacation. 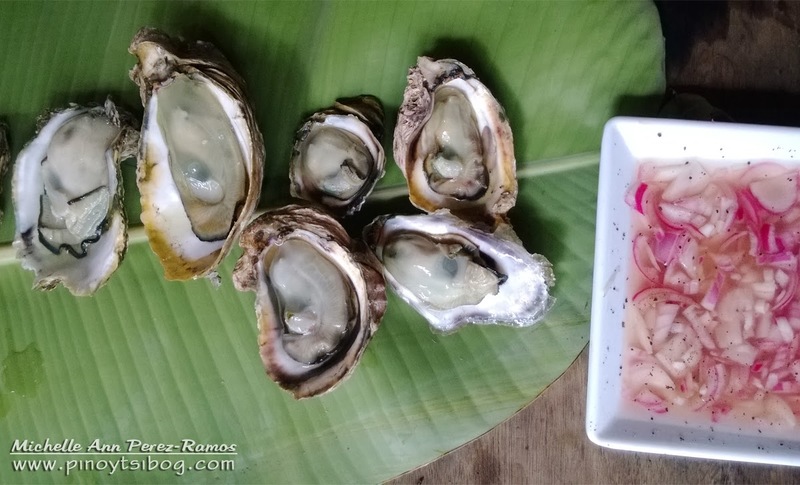 And for Php25.00 you already have a kilo of oysters! There are different ways to prepare oysters. Some liked it steamed, some like it boiled, other have it baked or roasted, and some even liked it raw. We usually steamed or half boiled oysters in our kitchen, since it is fast and easy. Steam oysters for 5 minutes (each batch in case it won't fit in the steamer). Boil 2 liters of water in a big casserole. Put the oysters in a fishnet. Once the water is boiling for at least 2 minutes, switch off the heat. Put the fishnet of oysters in the boiled water for 3 minutes, then remove it. Mix vinegar, onions, salt and pepper.